The past weeks have been nothing but hectic. I supposed that this is one of the things in life you have to face when you have a full time job. Not exactly easy when there are only two of you and one is away on holiday. 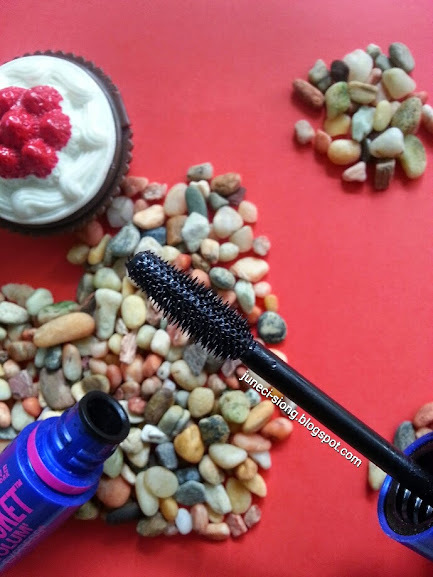 I have been posting on my Instalgram for ages, hints on my all time favorite mascara. Kind sister got me this mascara when they were having sales in early October. It has been on my wishing list for so long because my old mascara at that time has started to dry up. MAYBELLINE Volum' Express Rocket Mascara comes in an unique Supersonic Brush with formula that promises fast glide. The mascara wand has micro bristles which volumize our eyelash up to 8 times and the fast glide formula allows smooth, zero clumps application. Most importantly, it is FREAKING WATERPROOF! 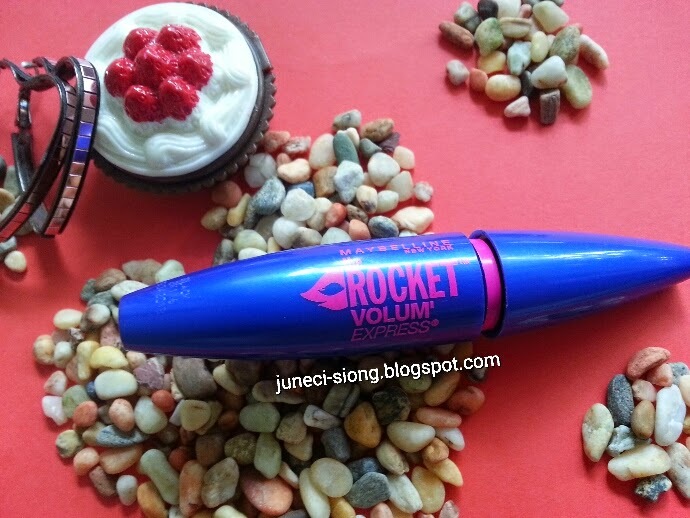 MAYBELLINE Volum' Express Rocket Mascara is easily removed with soap and water. Dear Contact lens users, please rest assured. This babe is ophthalmologist approved! 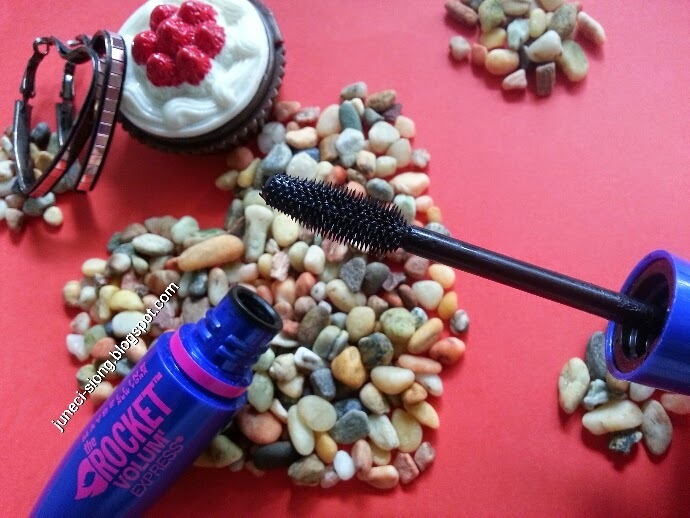 I like MAYBELLINE Volum' Express Rocket Mascara mainly because of it brings out my lashes with no clumping! You can see it really coats every lashes. Plus it's waterproof! 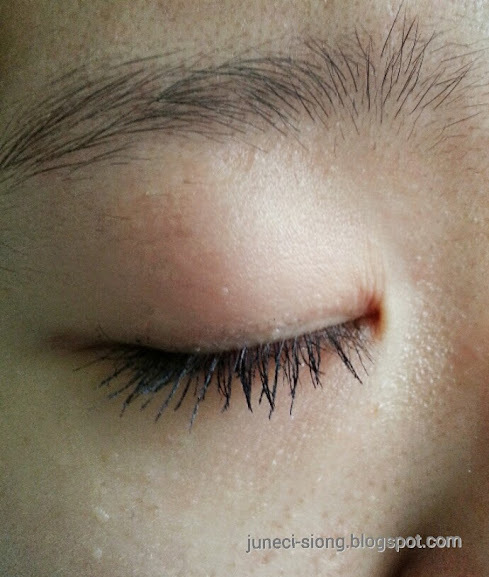 (Remember, I tear very easily) Although, my eyelashes does not appear thicker in volume with application, (probably due to absence micro fibers and my originally fine and sparse eyelashes), I can see my eyelash is remarkably longer and enhanced. Suitable for everyday casual use. What I like about this mascara is that my eyes look as if it still has mascara on, even after removal the day before (Commented by my colleagues) :D I would definitely purchase this MAYBELLINE Volum' Express Rocket Mascara again in future. You can get this gorgeous mascara at any personal care stores near you.